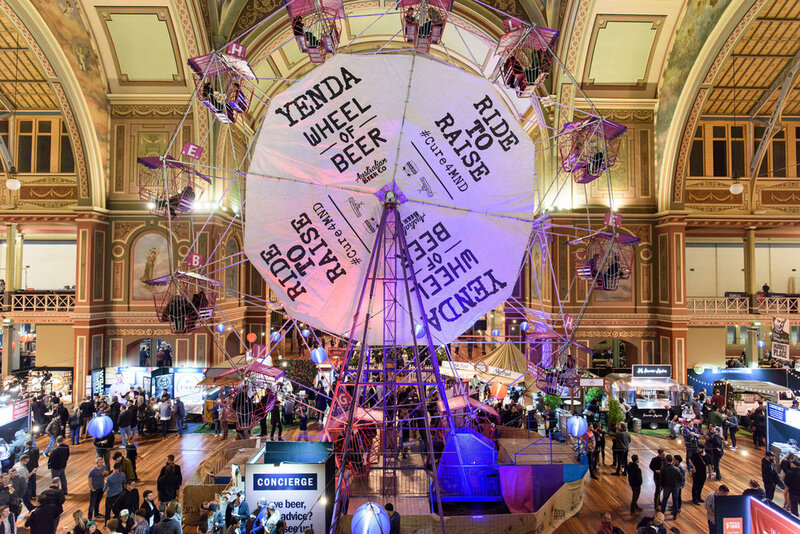 Imagine convincing the most exciting craft breweries in Australia and New Zealand to all brew and release a brand new beer on the same day at the one event... Now in its 6th year, this awesome concept has taken off, with The Great Australasian Beer SpecTAPular introducing over 700 unique ‘Festival Beers & Ciders’ into the world. Being with the GABS team for five years now, we have taken the festival to an entirely new level. From Snail Beer, Miso Beer and Belly Button Beer (which became world famous!) to Bone Marrow Beer, GABS hasn’t missed a beat. Each beer has a different story so there's a wealth of fresh content to play with yearly. In 2019 we will be launching GABS in Brisbane for the first year ever. Increase the events awareness and ticket sales by 10% annually. Initiate potential partnerships with brands that align with GABS values and ethos. Support each local brewery taking part in GABS (up to 180 a year) with local and national coverage. Support the proliferation & popularity of the Craft Beer industry. GABS is unlike any other beer festival in the world. Being the largest craft beer festival in Australasia it has always been imperative that we position GABS as the top of its class. Each year the breweries taking part and the beers produced change drastically, meaning we adjust our approach to suit themes within the new selection of beers annually. With a unique variety of beers & ciders presented at GABS, it is essential to showcase the craziest, most delicious sounding and weirdest beers that will be available. This strategic approach gives us the opportunity to not only engage the loyal festival goer but a wider audience who become intrigued by such wild and inventive beers. The event would be impossible without the diverse range of craft breweries taking part every year. It is an imperative part of our strategy to highlight each brewery taking place and how they are impacting the industry. This approach engages the local communities who support independent craft breweries and this in turn introduces GABS to new audiences nationally. We have successfully seen GABS grow and develop over the last four years and we are proud to be part of its growth. With ticket sales increasing each year and successfully selling out the event, we have met all our projected objectives and targets. In 2018, GABS resulted in a total of 231 pieces of coverage with an accumulated reach of 145,336,460 and an AVE of $2,388,669.94. Rocket Comms produced coverage that was 100% positive and communicated the core messages of GABS.